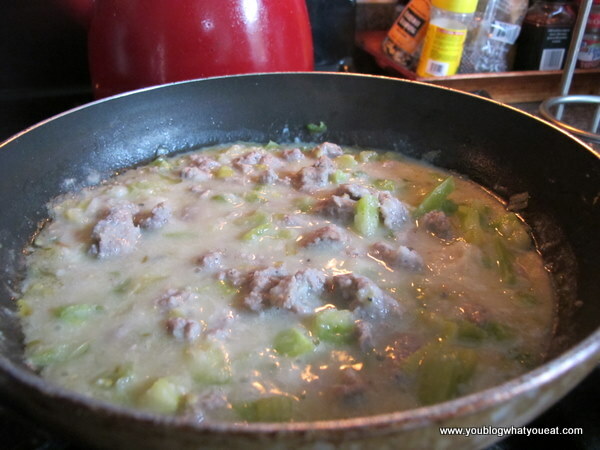 You’ll need one pan for the sauce and another deeper pot for poaching the eggs. Put water in the deeper pot and prep it for boiling. 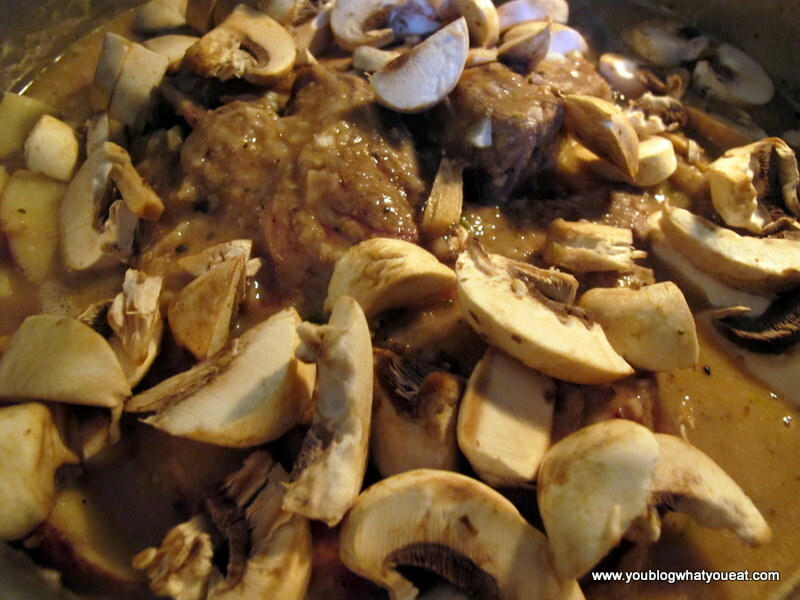 Add a few tablespoons of vinegar. This helps with the poaching process. 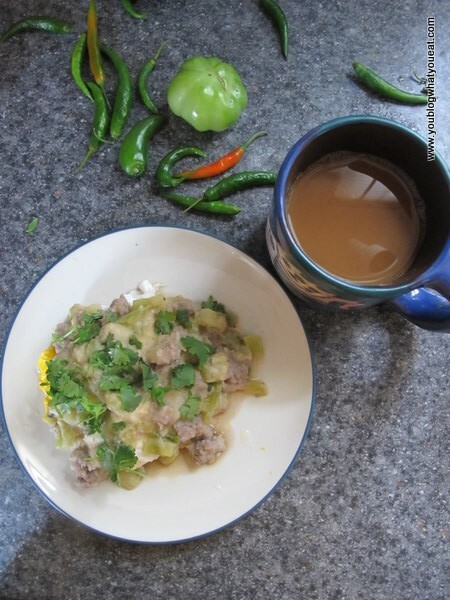 Poaching eggs is a healthy alternative to frying, because it doesn’t require any oil. I put a little bit of grapeseed oil in my pan and sauteed my leek and jalapeno until the leek was clear. I added my sausage and browned it, breaking it into little pieces in the pan and I seasoned it with cumin, salt, and pepper. 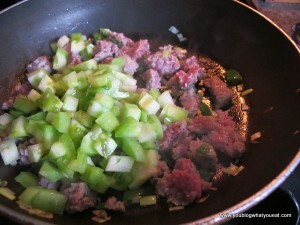 When the sausage was about halfway done, I added my diced green tomato. 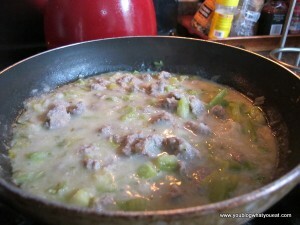 After about a minute, I poured my white sauce into the pan and turned it down to a low simmer. At this point, I put my mushroom caps in the toaster oven. 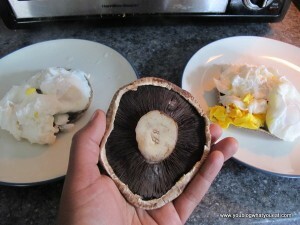 If anyone has any pointers about cooking portabello mushroom caps, please let me know. My water was simmering, so I cracked my eggs and dropped them into the pot. For my taste, they only needed to cook for about 3 minutes. That was perfect timing for this recipe. After 3 minutes, my caps were done so I moved them from the toaster and onto my plate. I placed two eggs on top of each mushroom. 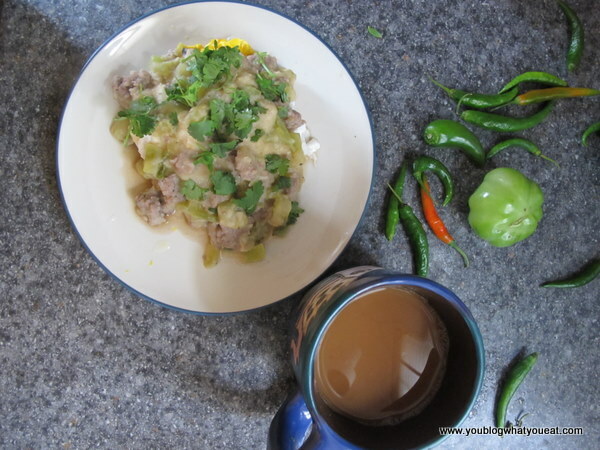 Finally, I covered the eggs with the sauce and garnished it with some fresh cilantro. Here you go! I was very pleased with this creation. You could probably take this white sauce and do the same recipe sans mushrooms, add potatoes, use smaller caps, pour over an English muffin, biscuit etc. I have made some soup dishes with White beans and vegetables. I found them both on this site. 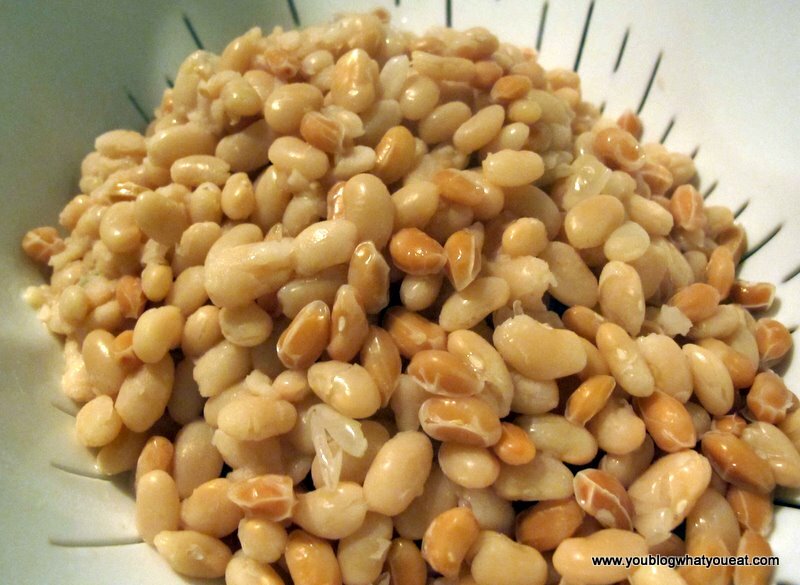 White beans, cooked, drained, and rinsed. Steam cauliflower florets and stems until tender. Let cool slightly. Heat oil in a medium pot over medium heat. Saute leek and garlic until translucent, about 6 minutes. 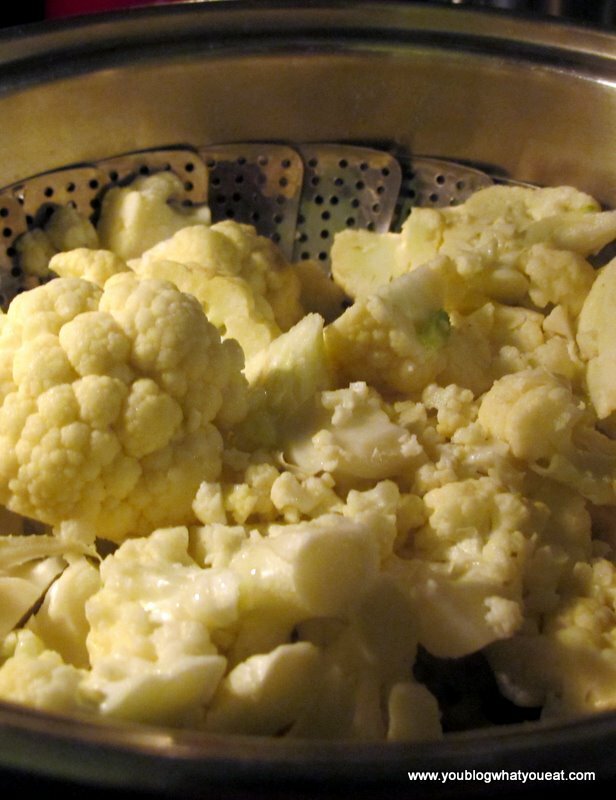 Puree cauliflower in batches in a blender until smooth. After the food processor, I put my mixture back into a large soup pot. 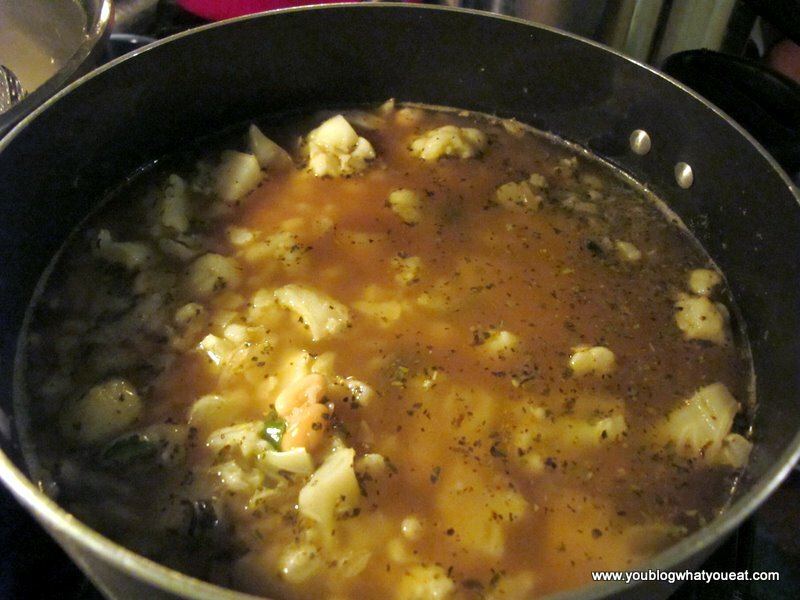 Add salt, pepper, crushed red pepper and herbs and season to taste. Warm Caesar Dressing Over Leafy Greens? Replacing Cheese in Lasagna (A friend at the farmer’s mentioned that he adds white beans to his lasagna to get more protein)? Instead of mayonnaise in cold summer salad? 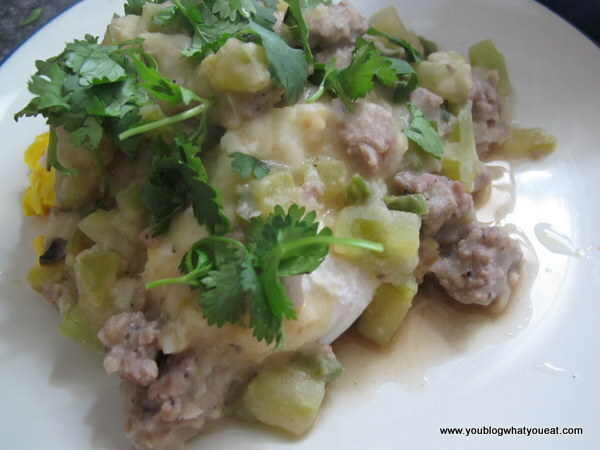 As a sauce over homemade Egg Foo Young instead of gravy? I don’t know what will happen, but the feel free to try and add your thoughts and creations!